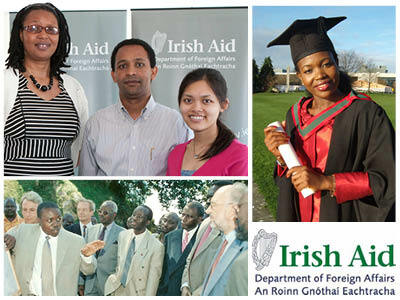 The Embassy of Ireland is pleased to announce the opening of applications for the 2013 Irish Aid IDEAS Scholarships programme for postgraduate study in business, finance and other disciplines at the UCD Michael Smurfit Business School in Dublin, Ireland. UCD Michael Smurfit Business School is Ireland’s leading business school and is one of less than sixty schools worldwide to be awarded all three major business school accreditations, AACSB (USA), EQUIS (Europe) and AMBA (UK). Presently, UCD Michael Smurfit Business School is ranked 86th in the world by the prestigious Financial Times ranking while our full-time MBA programme is ranked 38th in the world's top 100 and 12th in Europe according to the Economist Intelligence Unit. We are the only Irish business school to gain a place in both of the aforementioned rankings. The successful candidates of this Scholarship competition will be awarded an opportunity to study at one of the world’s leading business schools and to live in one of Europe’s most dynamic and beautiful countries. Scholarship awards cover: return airfare, full tuition fees, public health insurance, a stipend to cover accommodation and subsistence costs, settling-in allowance, and book and clothing allowances (where appropriate). Scholarships are for individuals for full time study of 12 months duration for MBA or Master Programme. We particularly encourage applications from public sector, ethnic minorities, people with disability and other marginalised groups in Vietnam. The Irish Aid Development Experience and Sharing (IDEAS) scholarship programme started in 2009 and covers postgraduate study in business administration and related subjects (finance, project management, marketing, etc.). The number of scholarships awarded has increased year on year while UCD’s alumni network based in Vietnam also continues to grow. Last year, we offered 24 full scholarships and these students are presently undertaking their chosen programme of study in Dublin. In 2013, the following MBA and Masters courses will be delivered by the UCD Michael Smurfit School of Business, in Dublin, Ireland. See http://www.smurfitschool.ie for full programme and curriculum details. Step 1: Acceptance by UCD to one of the above mentioned programmes: on line application and telephone interview. Applications open from Friday October 5th 2012. No applications will be accepted after the final application deadline of January 18th 2013. We strongly encourage applicants to apply early. Applications will be assessed in order of receipt. Please visit UCD website for further details and to submit your on-line application: http://www.smurfitschool.ie/vietnam. Prior to 15th February 2013: Following the review of applications and telephone interviews, applicants will be informed by e-mail whether or not they have been accepted onto a course at the UCD Michael Smurfit School of Business. Candidates will also be advised if they have been selected to move forward to the next stage of the Scholarship competition. Step 2: Application for an Irish Aid Scholarship. Candidates accepted onto a course in UCD are eligible to apply for an Irish Aid scholarship. Please visit the Embassy website www.embassyofireland.vn and our alumni portal www.vietnamirelandalumni.org. The deadline for receipt of completed Irish Aid Application is 5th March 2013. 15th – 19th April 2013: Final round interviews will be held in Ho Chi Minh City and Hanoi. Successful candidates will be notified by the Irish Embassy shortly after the final round interviews have been completed. An Information Event will be held both in Hanoi and Ho Chi Minh City in November 2012 and candidates who have applied prior to these events will be invited to attend. Years of experience: For MSc courses: Minimum of 1 years prior work experience. For MBA course: Minimum 3 years post-graduation work experience. Academic qualification: Official university degree minimum level ‘kha’ for MSc and for MBA. For MSc courses: IELTS: 6.5 (Academic) or TOEFL: 570 or TOEFL ibt 90 (still valid upon the application’s submission). Institutional TOEFL will not be accepted. Tel: +84.04.39387808 (Ms. Mai Chi); e-mail: chi.nguyen@dfanet.ie.